Skiing under the Zermatt spring sun! 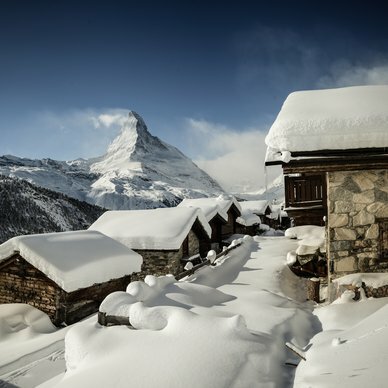 One day, four restaurants, 42 Gault-Millau points and countless picture-postcard views of the Matterhorn. Fancy a touch of Alpine glamour? Take your seat in the Matterhorn Express VIP gondola. A thrilling descent from Blauherd to Sunnegga across the Matterhorn summer paradise. Get the new Matterhorn App now, available for iOS and Android! Find out here which lifts and slopes are open for you today. Here you can find the weather forecast, the wind map and the current snow report. Get the latest on shutdowns and disruptions affecting cableway services. CHoose your interests and we will show you all suitable offers and experiences for you personally.